During all those years there has been proved that capitalism not only can’t solve any social problem, not only can’t satisfy the needs of the workers and the youth, on the contrary, tries to get over their irremediable contradictions, by augmenting the exploitation of peoples, condemning them to poverty, unemployment and to wars. Today, we are witnesses of new manifestations and deepening of the capitalist crisis of overaccumulation and overproduction. As a result, all predatory aspects of capitalist mode of production in its final stage, i.e. imperialism, are sharpened. Accumulation of monopoly capital is accelerated by means of its centralization and concentration. On the other side, population which is relatively surplus with regard to the needs of capitalist accumulation, the evidence of ineffectiveness of capitalism, is growing and manifests itself in massive unemployment, proletarization of masses and poverty, especially among young people. At the same time, part of the workers is overloaded by longer working hours for lower wages. With growing productive forces, large part of them is unused. Unequal effects of crisis in capitalist centers (Germany, France) and so-called periphery (Greece, Italy, Portugal…) are results of uneven regional and national development inside imperialist structures. The crisis is taken also as a pretext for attack on every advance of working class, which was gained by history of hard working class struggles, of which most significant is establishing of workers power in part of Europe. At the same time, the implementation of anti-peoples measures that have been decided by both social democratic and neoliberal governments is accelerating and aims at making the price of labor power in Europe decrease. Labor rights, such as limitations of working day, collective agreements, protection in work, and against the vagary of employers, are now in danger. Precarious work has become one of the main means of exploitation among young workers, being also used to bring limitations to the workers capacity of organizing themselves and participating in the working class organizations, like trade unions, and as consequence a tool to weaken the working class struggle. The free health care and education is being destroyed and the price of them grows. The retirement age is rising. Social security system and other responsibilities of state toward working class are canceled. All these changes move in direction of privatization, i.e. new spheres of profit for capital, and larger stratification of society: high quality of health care, education, social security for bourgeoisie and no for working and other popular classes. The capitalist rulers implement and enforce the dominance mechanisms over peoples. The mass-media propaganda, no matter whether it is financed by states or capital, promotes anti-communism, blames the whole parts of population and peoples of the crisis, and supports racism, chauvinism and xenophobia. Any illusion of democratic character of EU institutions is being thrown away. This development shows the imperialist character of EU and disproves any illusion of change to “more social” EU that due to its class nature isn’t possible to reform. Rivalries between capitalist countries for the share of the capital loss, which is the inevitable result of the crisis, are sharpening. Rivalries within the EU and Eurozone are reflecting precisely this fact. At the same time, they are united in their attack against the workers, they ask them to make sacrifices in the name of the salvation of Eurozone, EU and their profitability. Peoples should not make any sacrifice. Their future and their prosperity cannot be found in the imperialist institutions. The falsification of history and anti-communism is financed and promoted by EU institutions and bourgeois states both in former socialist and other countries. The peoples’ victory over fascism, the historical significance of the Soviet army in this victory, and the progressive development in socialist countries are disparaged. Communism is being equalized with Nazism. The reactionary forces of the past are propagated, even the openly terrorist and fascist ones. Even the trade-union movement is slandered and state mechanisms – such as bans and organization of strike-breaking – are used against strikes. The criminalization against the Communist Parties and Communist Youths is being promoted. NATO confirmed its aggressive stance in its summit in Lisbon. The new imperialist attack in Libya under a pretext of civilians’ protection, employing of UN in its plans to occupy the country and exploit its oil reserves, and planned attacks on Syria and Iran clearly show the dangerous imperialist offensive which can be resisted only with the gathering of the anti-imperialist forces. The inter-imperialist contradictions are growing between the old as well as the new imperialist powers. The effects of the crisis create new movements of youth and workers in European countries. We salute the brave struggles of workers and youth, among which the recent struggles of workers in Greece, Portugal, Spain and other countries, where young communists stand in front of defense and counter-attack against the capital. We highlight the necessity of reinforcing the intervention of the Communist Youths within the youth and the youth movement, of reinforcing the contribution of young communists to the empowerment of the class worker movement. Only in that way, accumulated anger of young people, who face the enlargement of the dead ends, will find a way out. Only in that way such anger will not get trapped within the framework of the “new movements”, promoted by the system, which, using slogans such as “down with the parties, down with the trade unions”, are trying to calumniate the organized class revolutionary struggle. The attempts to intimidate the working class movement are caused by the capitalists’ fear of comparison between the current capitalist development and successes of socialist construction. The socialist system proved its superiority over capitalism. It guaranteed to the citizens right to work in planned socialist economy which develops capabilities of a country proportionally, social security, free health care and education. It canceled exploitation and inequalities between peoples, regions, races, nations, and genders. Socialism promoted social ownership of means of production, both in country and in towns. On the international scale, the world socialist system was decisive for peoples’ defeat of fascism and Nazism, and for destruction of colonialism. It constituted the only effective counterweight to imperialism. It supported progressive and anti-imperialist forces in the world. The Communist Youths compromise to enforce their struggle, especially today that the capitalist crisis sharpens and this may cause unforeseeable consequences for the peoples. 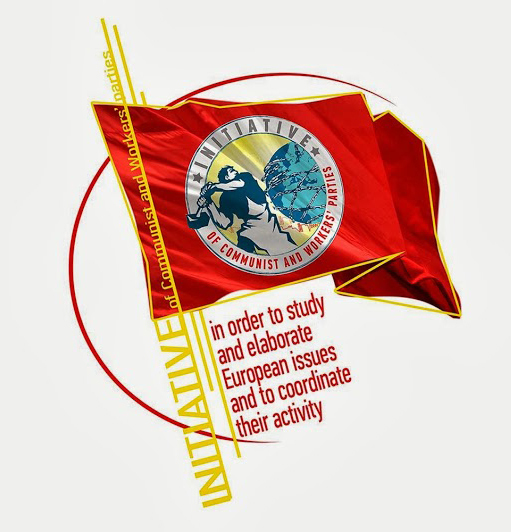 The Communist Youth Organizations bare the great task of organizing the struggle of the youth to secure the satisfaction of its contemporary needs. Today, the produced wealth, the productivity of labor and the development of science and technology can meet all the contemporary popular needs, can reduce the working time, can eliminate unemployment, can raise the cultural and educative level of workers. In order to achieve this, the means of production can no longer be private property, used to exploit workers. It is necessary to transform them into social property and developed them into favor of the working people. We highlight that the people must not recognize the capitalist debt. The real debt was created to the working people, by their exploitation and dispossession by the monopoly capital. There is no unity with exploiters facing the crisis, no sacrificing of people, which should bring even more surplus value to the big capital and strengthen its rule. The Communist Youth Organizations have great responsibility for future of the peoples. Their ideological work will tell the truth about the glorious history of socialist construction in 20th century. Their strengthening and coordinate actions will bring the consciousness of possibility and necessity of building superior society – socialism and communism – the idea the capital wants to erase from youth’s minds. Their organization of militant youth will reinforce the working class and people in their struggles against imperialism. The prospect of socialist construction and future of communism is the only real alternative to current system of exploitation. 20 years after it is clear that the defeat of socialism was temporary. Social evolution cannot stop.